Meanwhile, courts have further extended P Chidambaram's protection from arrest in one of the massive financial scams in which he is allegedly involved. 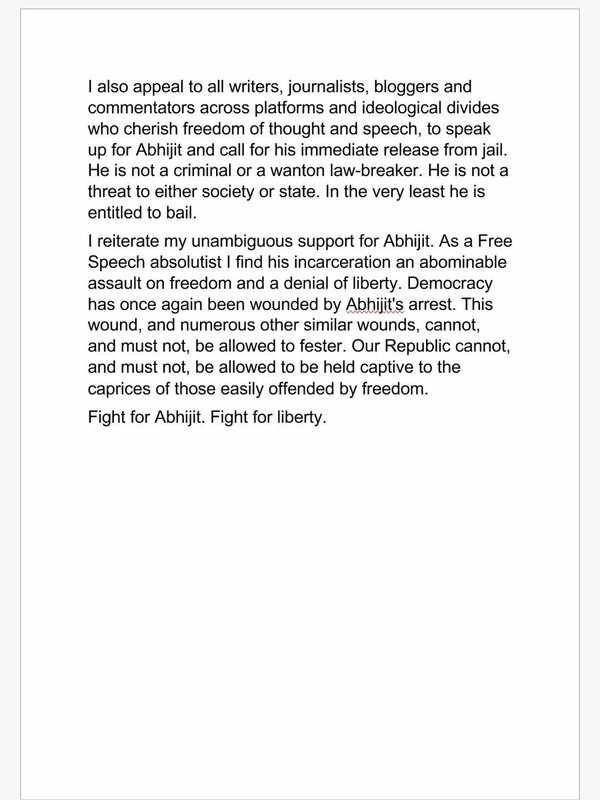 Clearly, for him 'jail is not the safest place'. 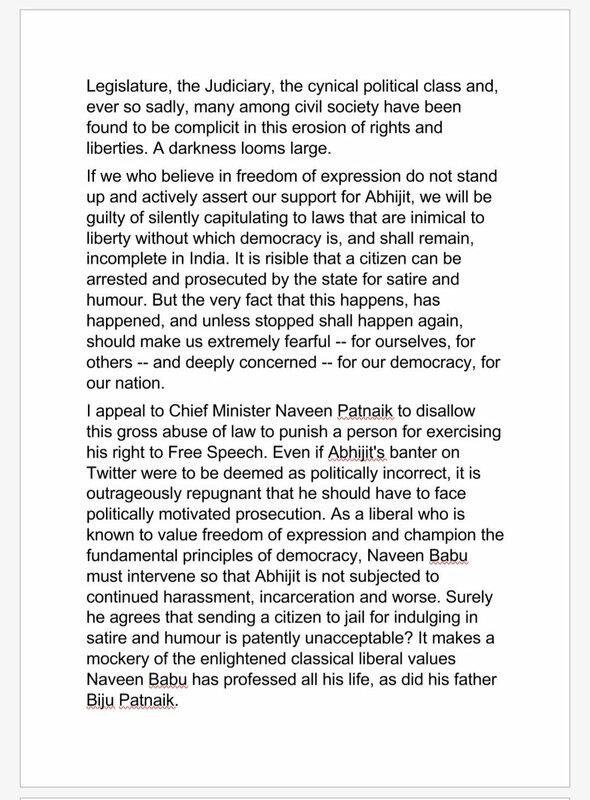 It is a week since Abhijit Iyer-Mitra was arrested for satire. He is still in jail. 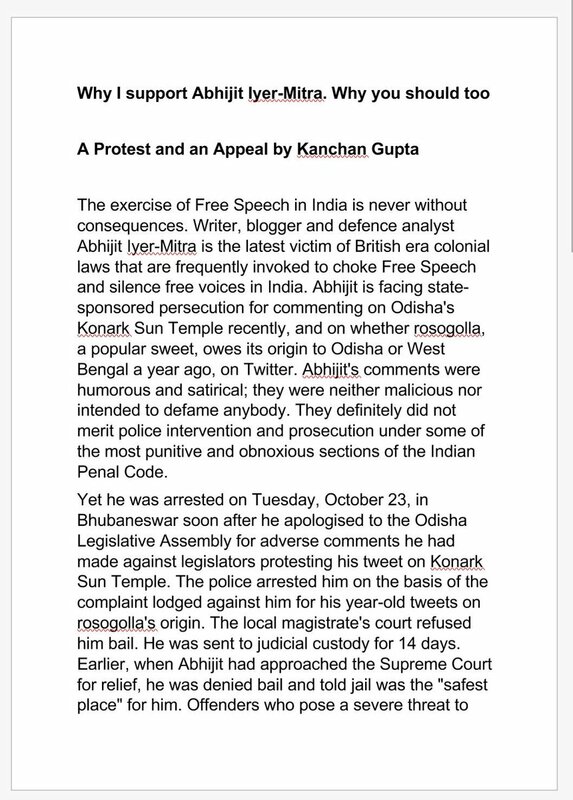 In this wondrous democracy of ours, #FreeSpeech fetches jail. Criminals and offenders are extended bail or, even better, protection from arrest. We are all complicit in this travesty of justice.